I haven't had to write a grant in a long time. But I remember the cloud that lou'rd upon our house (a nod to Richard III) when a deadline neared. "Does it need to be in their hands at the deadline or in the mail?" I remember pondering and asking many times. More often than not, I'd be trudging to the post office on the morning of the deadline, knowing that if the package was postmarked on that date, all would be well. Grant writing is a necessary part of doing business in the social profit (nonprofit) world and in the arts. 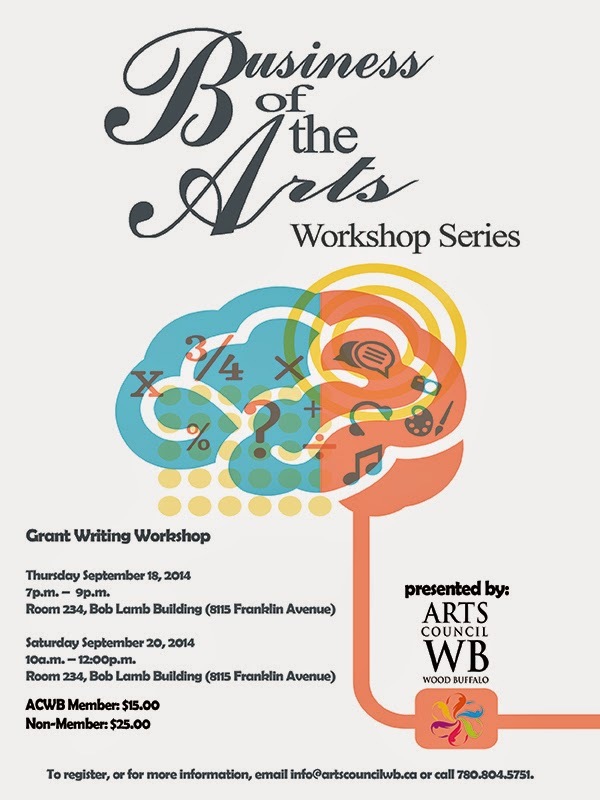 I'm so glad that Arts Council Wood Buffalo (ACWB) has launched their Business of the Arts workshop series with two sessions on the important and stress-causing topic of grant writing. Important to note is that both sessions are the same. ACWB has scheduled two to provide options for people with busy schedules. Constance Scarlett, Executive Director of the Arts Council is taking the lead on these first two session, leveraging her deep knowledge and breadth of experience in grant writing and finding the dollars. "The greatest hurdle people face when applying for grants is time and planning," she said. 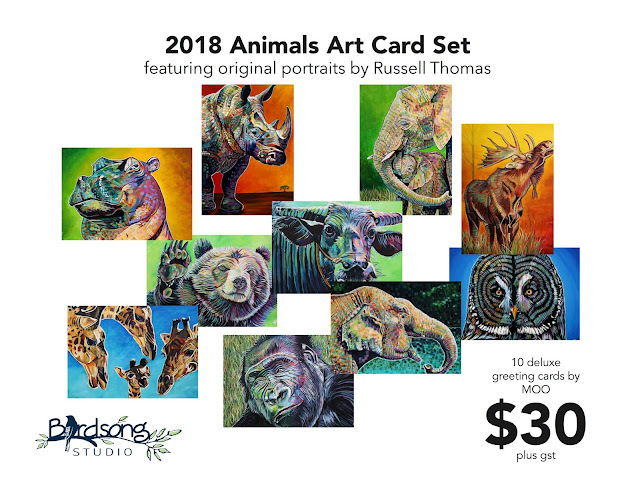 "Nonprofits and artists are busy and often grants are the things that tend to sneak up on us - all of a sudden the deadline is two days away and writing a grant application seems like an insurmountable task. Yet there are some easy strategies that grant writers can employ that will help them carve out the necessary time for research and planning, reduce the amount of time it takes them to create an application, and increase their chances of success." How about the issues of finding grants to apply for in the first place. It is a rare gift when grants fall on your lap, usually you have to beat the bushes to find the ones that might align with the programs or services you are offering. Constance is going to provide some added value in this area as well. "My discussions with funders have indicated that Northern Alberta is underrepresented amongst some grant programs," she shared. "There are a variety of reasons why this could be the case, but this workshop is trying to ensure that individuals and organizations know what grants are available and feel confident in applying." I've heard similar comments from different levels of government and family foundations, that there is a desire to fund organizations in our region. So, with the tools that Constance will pass along, and a newfound confidence in jumping into the churn of the great grant cycle, you might tap into new sources of revenue for your organization or project. But is this workshop, part of the "Business of the Arts" workshop series, strictly for artists and arts organizations? No. "The grand writing workshop is the perfect fit for individual artists and arts organizations that are looking to diversify their funding," said Scarlett. 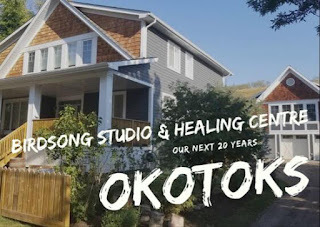 "Despite the title of the workshop series, you don't have to be in the arts sector to attend - the workshop will be equally beneficial for social profits as well. This workshop will clarify the process of writing grants and give the participants the confidence they need to be successful." The two grant writing sessions are being held on September 18 from 7 - 9 pm, and September 20 from 10 am to noon. They are both being held in Room 234 at the Bob Lamb Building on the Clearwater Campus of Keyano College. The cost for members is $15, or $25 for non-members. To register, or for more information, email info@artscouncilwb.ca, or call 780-804-5751. You'll be glad you did.